gardener of Mount Vernon. 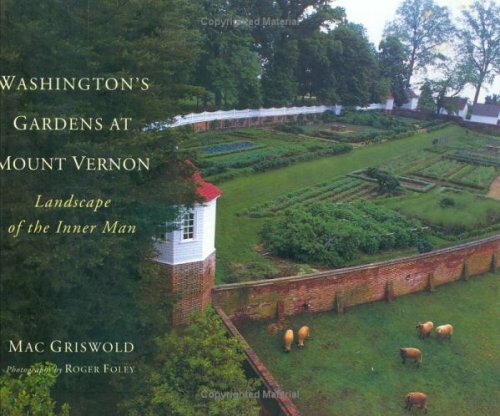 Remarkably, the George Washington who spent forty-five years designing and planting the gardens at Mount Vernon is virtually unknown today, hidden behind the icon of the first president's frozen dignity. In her new book, Mac Griswold reveals to us a man who gathered seed, transplanted and pruned trees, and designed a kitchen garden, a pleasure garden, and even a botanical garden, where he did all the experimental work himself. Washington left for historians and restorationists a wealth of memos, directives, diaries, plans, and plant lists that documented every step of his creation (and now the recreation) of his gardens. Out of this wealth of archival material, Griswold paints a remarkably vivid picture of eighteenth-century gardening.